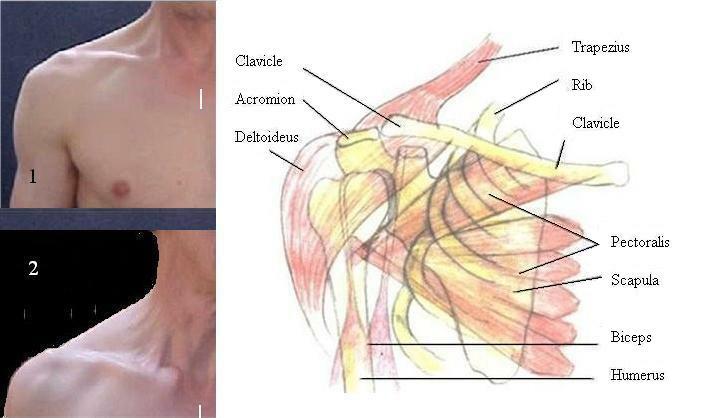 The lateral end of the clavicle, the sternocleidomastoid and the sternal groove (above white mark) present in both images. The medial end of the clavicle is visible only in fig. 2.